R-JACK™ RJ45 Ethernet components feature multiple pre-kitted solutions including gaskets, O-rings, mounting brackets, and hardware, making it easier for customers to procure, install and integrate these components. 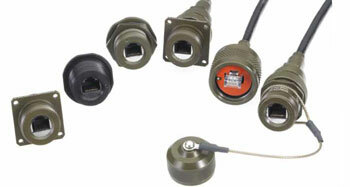 Clearance Sale on R-JACK™ RJ45 Ethernet Plugs & Receptical. Only available while supplies last!